This type of insurance is not new. In fact, for some time now certain French insurance companies like AXA have offered a reduced premium for clients who travel less than 8,000 km per year. 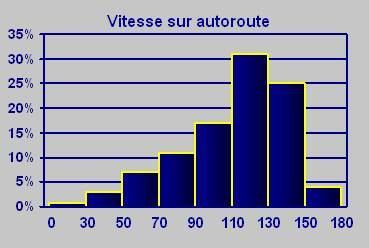 AXA calculates this by asking their clients for a simple declaration of mileage. Other insurers like AGF went even further, equipping vehicles with an additional odometer in order to tally charges specifically tailored to the individual. If you are an infrequent traveler and you drive less than 7,000 km per year, you can save up to 35% on your insurance, as long as you have the odometer read once a year at an authorized center. This type of insurance is well underway already; AGF has 200,000 clients in France and expects to recruit 30 to 40,000 new members each year. The second form of PAYD builds on the first by integrating the kind of roads and hours you drive on into the formula. In this case, the electronic unit is a little more sophisticated and includes a GPS receptor. If you drive on roads and during times that are statistically less accident-prone, you will benefit from a significant reduction in insurance rates. But this method poses certain problems. Some drivers find it simply unfair : "Not everybody can change their itinerary and daily schedules to meet the criteria of the ‘safer’ driver". If the point is to stop paying for the bad habits of others, then what use is an individualized record when the criteria for lower premiums are still based on collective statistics? This is where the third type of PAYD comes in, putting all drivers on equal footing. The idea in this final type of premium is to create a statistical analysis of your manner of driving and thus determine your insurance premium based on real risks that you –and you alone– take in your daily life. 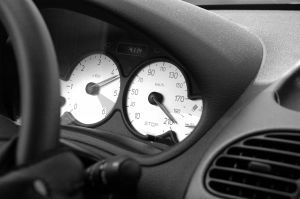 For example, the electronic unit might keep statistics on your speed or braking depending on different road conditions. This information would be used to verify whether you adapt your driving to various types of roads and to see whether you maintain a safe following distance. But a problem still remains: how do we find an acceptable solution for obtaining this information without infringing on the privacy rights of motorists? "Tomorrow, the challenge of PAYD will be to find a formula best adapted to the mass market, in other words, to the individual !"